Shopping for Designer Art Toys Vinyl Figures? 400% gray [email protected] figure! Stands 11-inches tall… four times the size of a regular [email protected]! Bears the Goodenough logo and a unique rubber-coat finish. 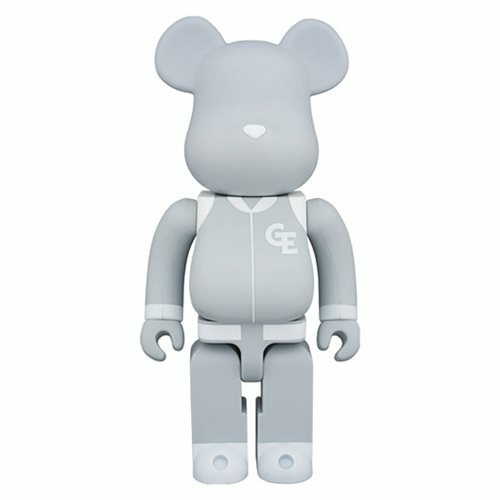 Japanese label Resonate Goodenough collaborates with Medicom to bring you this special Goodenough Classics 400% Gray Bearbrick Figure. Bearing the Goodenough logo and a unique rubber-coat finish, this [email protected] stands approximately 11-inches tall… four times the size of a regular [email protected]! It's also available in black and a 100%, 2 3/4-inch tall version (each sold separately).